Fun Fact: The film was loosely based on Gujarati play Action Replay. 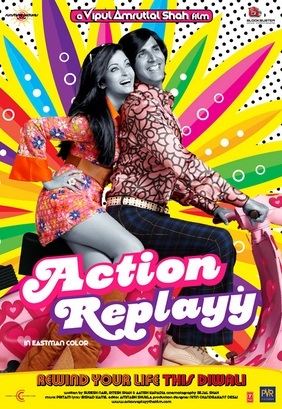 Why it Made News: Action Replayy was scheduled to release during the festive time of Diwali in 2010. Kishen (Akshay Kumar) and Mala (Aishwarya Rai) are in a unhappy marriage and their son Bunty (Aditya Roy Kapoor) doesn’t want to get married to his girlfriend, Tanya (Sudeepa Singh). Bunty decides to go back in time to make his parents fall in love, he does so with the help of Tanya’s grandfather Anthony Gonsalves (Randhir Kapoor) who has a time machine. Bunty goes back in time and changes his parent’s love story, he returns to a deeply in love Kishen and Mala. Did you know? 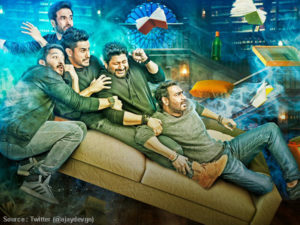 3 out of 4 ‘Golmaal’ films had a competition at the box office!